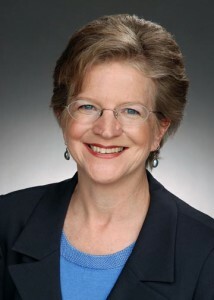 Mary Ellen Bates, president and founder of Bates Information Services is one of the nation’s leading experts in customized information research (also known as information brokering) and effective, thorough, and no-nonsense training for corporate researchers and knowledge workers. She also provides detailed consulting and hands-on business coaching for professionals seeking to enter the field of information brokering. Bates’ impressive credentials include a diverse array of research commissions, ranging from assessing the outlook for the pre-fab housing industry in Europe and Japan to studying recent high-tech developments in the grocery industry, and more. She also has written or co-written six books and close to 300 by-lined articles and white papers on various aspects of research and information gathering. In addition, Ms. Bates is a skilled and lively speaker, with more than 250 speaking engagements to her credit since 1993. In her spare time, Bates is an amateur photographer and a dedicated marathon runner. In the past 10 years, she has completed 15 marathons, and continues to hone her skills in the training and strategy work required for long-distance running. Phi Beta Iota: MEB as some call her, is a SUPER-SEARCHER, along with Reva Bausch, now retired, perhaps the absolute best in the USA–it would be fun to see her and Arno Reuser having a duel, but more likely they would just be ga-ga with one another’s skills. She pioneered cost-effective citation analysis using the DIALOG File 7 (Social Science Citation Index) and a program she personally constructed that OSS.Net, Inc. used to idnetify the top people in the world across a very wide variety of threat and policy domains. She is unique, and we are are over-joyed to know, still going strong.